Ever since Plato wrote about Atlantis, humans have been fascinated by stories about islands lost to the sea. Atlantis was an imaginary place, but in the South Pacific Plato's vision of watery apocalypse has been a reality. The tectonic plates that lie under the Pacific regularly generate earthquakes, tsunamis, and volcanoes, as they scrape and grind against one another. The region's cyclones bring another sort of violence. Over the last thousand years a series of islands have pulled underwater by earthquakes, blown to pieces by volcanoes, and covered by stormy waters. The Pacific's drowned islands survive in the stories passed down by their survivors, and in the logbooks and letters of sailors and missionaries. Today, when global warming is melting ice and raising seas, and humanity is haunted by the thought of environmental catastrophe, the lost islands of the Pacific have much to teach us. To understand the drowned islands we must float over water that was once dry land, visit the refuges where the survivors of catastrophes rebuilt their societies, read old manuscripts in colonial archives, and listening to old stories around kava bowls. In 1842 two Christian missionaries stopped for a few hours at a heavily wooded coral atoll at the southern end of the Cooks archipelago. The inhabitants of Tuanaki lived in spacious houses segregated by gender, preferred dancing to fighting, and could afford to gift their visitors a boatload of taro and coconuts. Many Cook Islanders knew about Tuanaki, and by the 1840s a few families from the island had resettled on the much larger and more populous Rarotonga. When a group of missionaries went in search of Tuanaki in 1844 and again a decade later, though, they could find no trace of the island. A series of rocks extend from a small bay on the western coast of Matuku, an isolated piece of Fiji's Lau province. According to oral tradition, the stones are a pathway that leads down to Burotu, a drowned island where demigods and immortal animals live. Stories say that every tree and flower on Burotu is red, a colour associated, in Fiji and many Pacific cultures, with wealth and power. The island is supposed to rise from the sea occasionally and then disappear again, after a few hours or minutes. In 2003 it was spotted by a schoolteacher and a group of his students. The traditional religions of Tonga and Samoa named Pulotu as the place where chiefs' souls went after their bodies died. Linguists have identified Pulotu with Burotu, and geologists have identified a small island just beneath the waters east of Matuku. Kuwae was a huge, high island at the centre of the archipelago nowadays known as Vanuatu. Its people spoke dozens of languages, and grew kava that attracted buyers from the distant Polynesian society of Tonga. In 1453, though, Kuwae exploded. Ash and smoke filled the sky, ruining harvests across the northern hemisphere and hastening the collapse of the Byzantine Empire. The disaster of 1453 turned Kuwae into a collection of small, blackened islands separated by a boiling sea. Kuwae's people fled from the eruption in boats, but in only six years the first of them had returned. A young Kuwae chief named Roi Mata soon took control of the devastated fragments of his homeland, and then conquered more land in the south of Vanuatu. Roi Mata was an innovator. He blended Melanesian and Polynesian culture, reorganised the lives of his subjects, and stabilised a society traumatised by the eruption of 1453. Today Taporapora is the name of a sandbar that lies a few hundred metres from a tiny bach village at the end of a peninsula in the Kaipara harbour. But many hundreds of years ago, when humans were establishing themselves on Aotearoa, Taporapora was the name of an island that boasted a school of traditional learning and a plantation of aute, the plant Polynesians beat into tapa. Surrounded by the warm Kaipara, the island was like a fragment of the tropical region that the settlers of Aotearoa had left behind. But war soon troubled Taporapora, and a huge storm dispersed its people to many parts of Aotearoa. Today farmers and archaeologists find tapa beaters in the muddy creeks that run into the Kaipara, and old stories about the island are still told on the region's marae. Tonga's capital and only city is separated from the open ocean by a maze of reefs and atolls. The atolls have a long history. Medieval Tongan poets paid tribute to their beauty, and the masons who raised pyramids on the graves of Tonga's kings cut slabs of beachrock from their shores. James Cook cruised amongst them, and the famously brutal Tongan warlord Finau Ulakalala stopped at a pagan temple on the island of Pangaimotu to talk with his gods via a delirious shaman-priest. The people of 'Eue'iki, the largest of the atolls, made an alliance with sharks, and held a ceremony where they sang to attract the creatures and then hung garlands of flowers around their necks. Today, though, the atolls in Nuku'alofa harbour are sinking and shrinking. Some have already disappeared, sending their old inhabitants to the suburbs of Nuku'alofa. 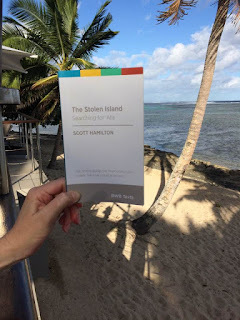 The Stolen Island is being reprinted tomorrow. Thanks to everyone who bought, borrowed, or stole a copy. My mate Nathan Parry, the minister of Island Bay Presbyterian Church, just posted this photograph from Fiji, where he's holidaying on his way to a conference on Martin Luther in Germany. Nathan likes to read books about tropical islands on tropical islands. But enough about my book. The New York Review of Tomes has an article about the Voynich manuscript, one of the strangest texts ever to fall into the hands of scholars. My feeling is that it ought to be shelved next to the poems of Ern Malley. Over at EyeContact I have written about the extraordinary objects that Nikau Hindin has put in Papakura's art gallery, and the repressed parts of that town's history that these objects represent. When I was researching my review for EyeContact I benefited from Linda Johnson's thesis Maori Activism Across Borders 1950s - 1980s. As its title suggests, Johnson's text ranges widely through space and time, but it includes half a dozen acute and carefully researched pages about Maori resistance to racial segregation in Papakura and Pukekohe in the decades after World War Two. Johnson reveals that the 'No Maoris' policy of Papakura's hotel made headlines in Sydney and Singapore, after it was challenged by Henry Rongomau Bennett in 1959, and she shows that Pukekohe's segregated shops, pubs, and movie theatres earned it the nickname 'the Little Rock of New Zealand' from the New York Times in 1961. Massey University has done New Zealand a service by putting Johnson's thesis online. Sometimes New Zealand publishers complain to me. The book market here is so small, this or that publisher says. Grants are inadequate. Bookshops are closing, as internet imperialists like Amazon expand. All of these complaints are justified. The life of a Kiwi book publisher can be a difficult one. 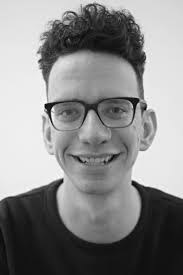 But if our publishers need some perspective on their plight, and some inspiration, then they ought to read Phil Fitzpatrick's remarkable article 'The Lost Creative Writing Generation of Papua New Guinea', which was published late last year on the popular PNG Attitude blog. Fitzpatrick begins his article by recalling the beginnings of written Papuan literature in the 1960s and '70s. As agitation for independence from Australia grew, the University of Papua New Guinea in Port Moresby became a base for a generation of young writers. They worked in English and Tok Pisin, rather than one of their nation's eight hundred or so indigenous languages, and adapted traditional oral storytelling techniques to the page. Ulli Beier, a German Jewish scholar who had taught in Nigeria before fleeing the Biafran conflict, got a job teaching Creative Writing at the University of Papua New Guinea, and began to edit and publish anthologies of the nation's emerging literature. A Papua Pocket Poets series was successful, and the journals Kovave and Papua New Guinea Writing were established. In the 1980s, though, Papuan writers struggled for support. Papua New Guinea had won independence, but successive governments struggled to find funds for roads and schools, let alone literary grants and Creative Writing courses. Libraries decayed and closed, local publishers folded, and the Australian and New Zealand literary worlds remained steadfastly uninterested in Papuan texts. Over the last decade the internet and cheaper publishing have revived Papuan literature. After Digicel raised its towers across Papua New Guinea, bringing the worldwide web to the territory beyond Port Moresby, writers began to self-publish on blogs and social media. When Phil Fitzpatrick and his friend Keith Jackson established an annual Crocodile Prize for Papuan creative writing in 2011, they were deluged with material. 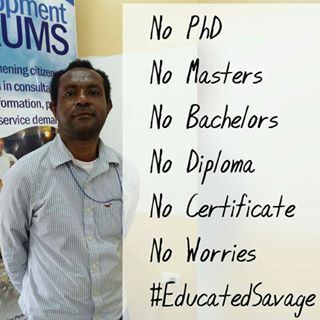 Fitzpatrick pays tribute to Martyn Namorong, the 'educated savage' in the photograph above this post. Namorong 'bombarded' Fitzpatrick and Jackson with 'short and incendiary essays' on Papuan society and politics. Namorong grew up in a logging camp in Papua New Guinea's western province, and learned English by listening to shortwave broadcasts from Radio Australia. Namorong has made himself an enemy of the government of Peter O'Neil, a businessman who was elected on an anti-corruption platform but has since been fighting a warrant for his arrest on charges of corruption. 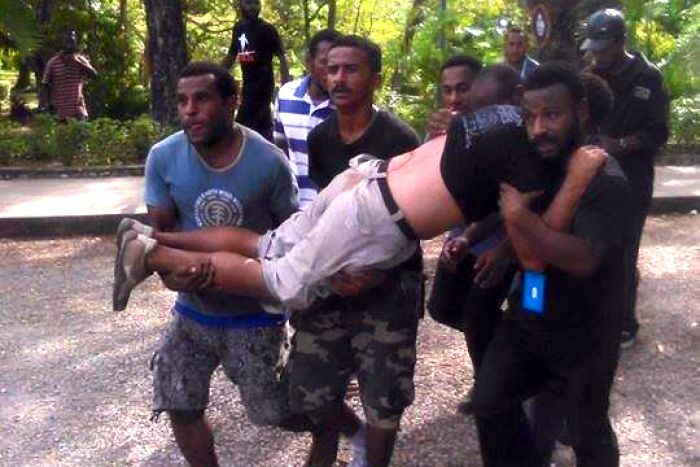 Last year police opened fire on students of the Papua New Guinea University, after they marched to demand that O'Neil address the charges against him. Seventeen students were wounded. Taking advantage of cheap Chinese publishers, Fitzpatrick and Jackson began to produce anthologies of new Papuan writing, and then to issue books by individual authors. By the time Fitzpatrick and Jackson had established Pukpuk Publications, some Papuan writers had begun to bring out their own books. Baka Bina, for instance, used Amazon's CreateSapce to self-publish a novel called A Man of Calibre, which describes 'two torrid days during a family dispute in an Eastern Highlands village'. Apart from Rapa Nui and the Philippines, no Pacific society developed its own script and written literature before contact with Europe. There has been a tendency for scholars to contrast the oral traditions of the Pacific with the written traditions of the West, and to suggest that the two are profoundly different, and perhaps incompatible. But the alacrity with which Papuan writers have adapted an indigenous storytelling tradition to new technology and new publishing opportunities shows that there need be no dichotomy between oral and written literatures. The Papuan literary movement of the 1970s stalled partly because of a lack of support from the country's wealthy southern neighbours. We shouldn't let a new Papuan generation suffer the same neglect. I'm ordering some books from Pukpuk Publications. Jem Noble's Dream Dialects was the most disappointing art show I'd seen in years. Noble, who is a British-born Canadian with a background in performance art, had been given a couple of large rooms at Pakuranga's Te Tuhi gallery after promising to build an exhibition around CK Stead's classic dystopian novel Smith's Dream. 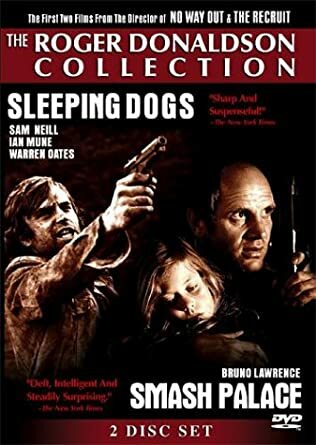 Noble spent a lot of time on EBay buying up old copies of Smith's Dream, as well as memorabilia associated with Sleeping Dogs, Roger Donaldson's 1977 adaptation of the novel. He also acquired a large disco ball and a large toy gun. Somehow, though, these items didn't do much to illuminate one of the most famous stories in the Kiwi cultural canon. I've discussed Noble's show with Judy Darragh and Mark Amery in the latest podcast for the Circuit website. Darragh and Amery were no more impressed by Dream Dialects than me, but we put the exhibition aside and discussed the book and the movie that inspired it. I talked about my first encounter with Sleeping Dogs in 1991, a year of mass protests against austerity and the Employment Contracts Act. I was proud to introduce Richard von Sturmer's memoir This Explains Everything when it was launched by Atuanui Press last November in Onehunga. The Listener gave the book the thumbs up, and now Steve Braunias at The Spinoff has published a generous excerpt, as well as a photograph of Richard's father looking remarkably silly. Richard von Sturmer is one of New Zealand's most versatile intellectuals. He has written hit pop songs, acted in a famous feature film, made his own movies, published acclaimed books of poetry and prose, and lectured and written about Zen Buddhism. 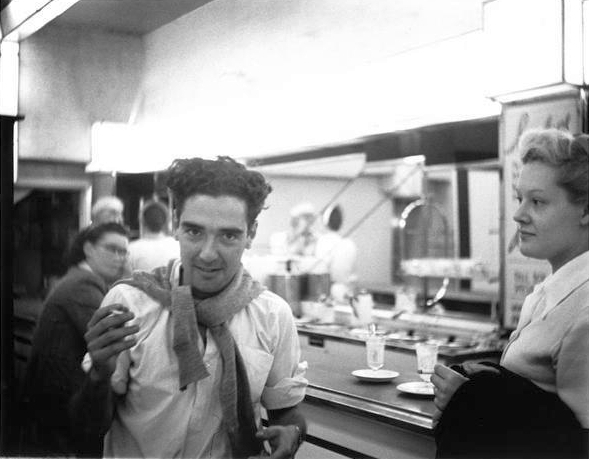 In This Explains Everything von Sturmer reveals some of the origins of his creativity and restlessness by telling the stories of two members of his family. He describes his grandfather's adventures in Australia's Western Desert, where he tried to get rich during the Great Depression by prospecting for minerals. Von Sturmer's near-suicidal journeys gave him a reputation: an Outback policeman once refused to shake the explorer's hand, for fear that he might be a ghost.